The Spanish flagged 173,400 cu m Sevilla Knutsen will dock in Cebu in the central Philippines today to undergo extensive repairs having hit a reef south of Guam last week. The ship suffered a gash on its bow and water ingress having smashed into an uncharted reef while in ballast from Japan to Australia. Initially the damaged ship made for Guam, but the US Navy there rejected its entry and it then had to reroute for the Philippines where it is expected to spend at least a fortnight sealing up the damage done to the double hull. 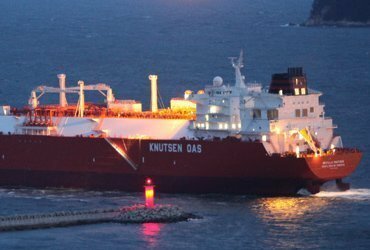 The vessel is one of 11 LNG carriers in the Knutsen OAS Shipping fleet.